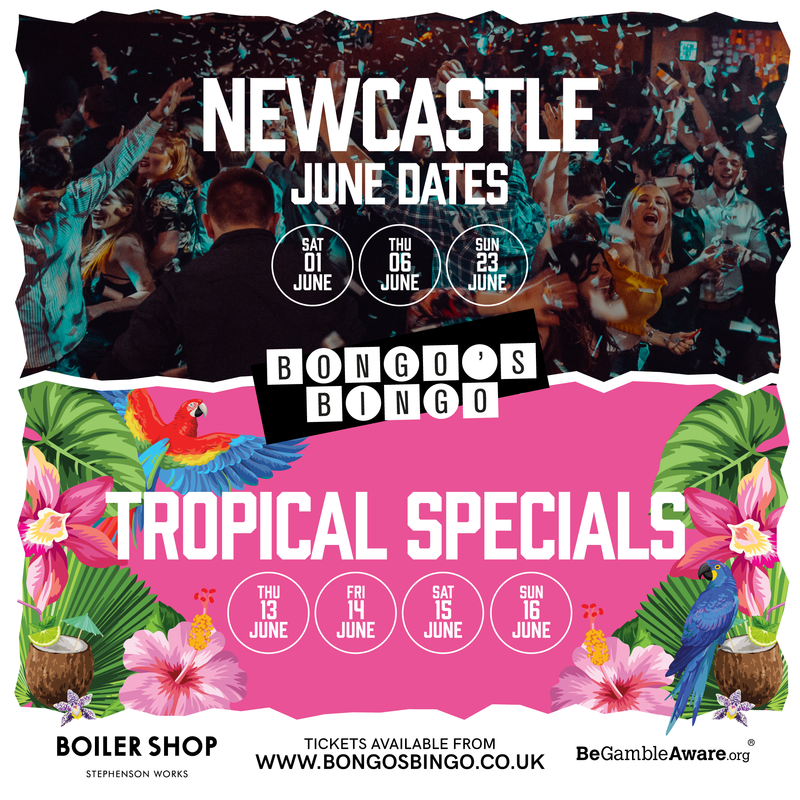 Bongos Bingo - NEWCASTLE JUNE DATES NOW ON SALE! NEWCASTLE JUNE DATES NOW ON SALE! The summer’s here, the sun is shining and the dark fruits flowing. So what better way to celebrate than let us take you by the hand and welcome you to Costa Del Bongo! Get your beachwear, your tiki shirts, your Factor 50 and a dash of jungle fever at the ready for a brand new helping of bingo with a twist as Newcastle Goes Tropical!